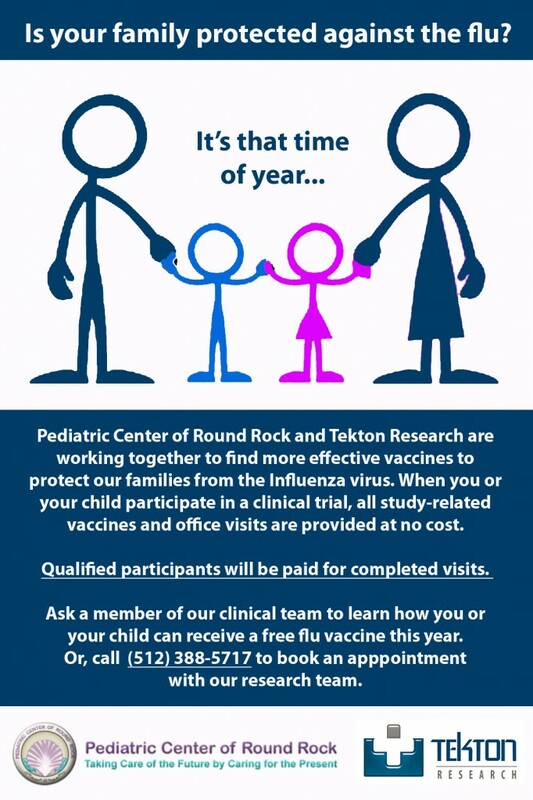 The Pediatric Center of Round Rock and Tekton Research are working together to find more effective vaccines to protect our families from the Influenza virus. When your child participates in a clinical trial, all study-related vaccines and office visits are provided at no cost and qualified participants will be paid for completed visits. If you’d like to know more information about how you can qualify to participate in this clinical trial and be compensated and receive the flu vaccine free of charge, contact Tekton Research at (512) 388-5717. You will learn how you or your child can receive a free flu vaccine this year and book an appointment with Dr. Katalenas to get started. 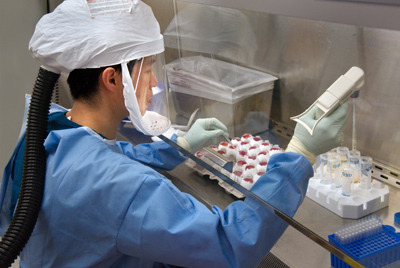 Everyone in the research study will receive a real flu vaccine (no placebo) at no cost. Click here to learn more about the importance of receiving the flu vaccine to protect your family during this flu season. If you have questions about the importance of the flu vaccine please click here for Dr. Katalenas’ Top Ten Flu Myths. Call (512) 388-5717 to learn more.